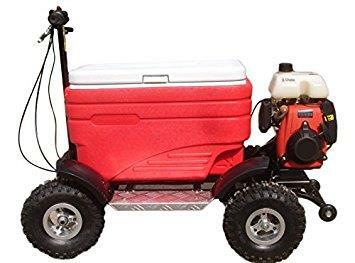 Crazy Cooler Motorized Coolers UNIVERSAL - TRU Motorsports International LLC - Your Car and Truck Headquarters! Crazy? Yes, just a little. 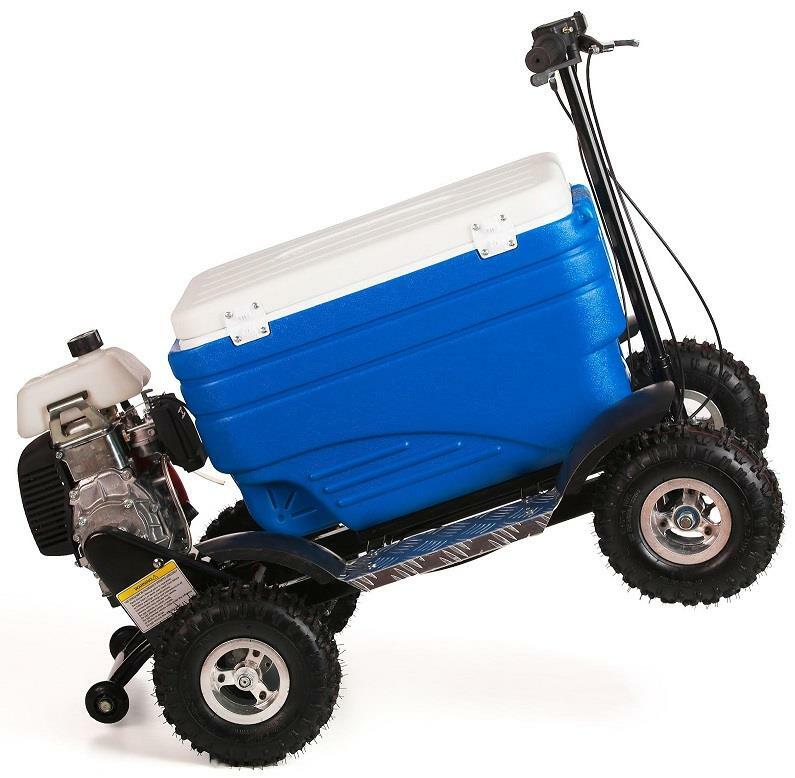 Motorized Coolers are unique Patented cooler scooters. Riding Coolers are a new safe level of fun, portable, take them to the big game, quick ride to the pool, life of the party at a Tailgate, or just shred the beach. 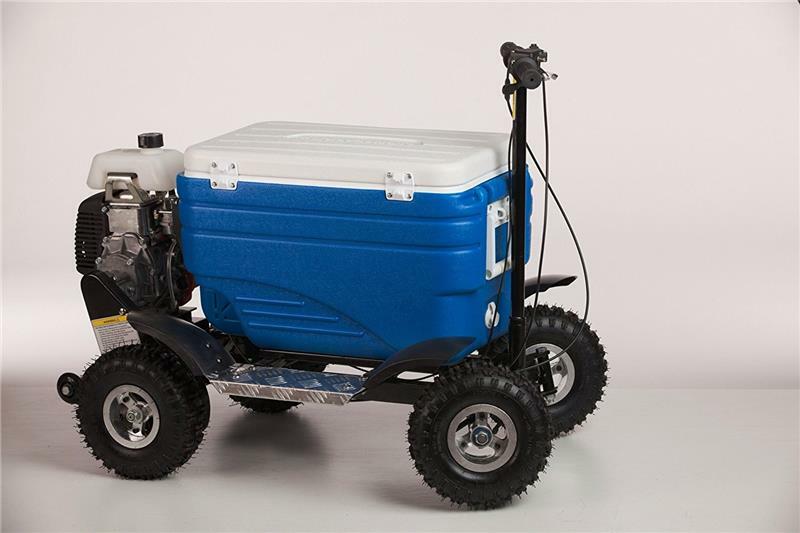 Crazy Coolers have the stability of four wheels, dual rear wheel drive, 49cc 4-stroke commercial engine, knobby all terrain tires, and a weight limit of 300lbs, these coolers are screaming fun. Unique All Terrain Cooler, not limited to the just smooth pavement; hit it all at full throttle. Our durable engine, disc brakes, dual rear wheel drive, running boards, high ground clearance, ergonomic thumb controls, 48L cooler, and a crazy wheelie bar are engineered to provide a reliable, safe, and fun experience. With solid axle and dual rear wheel drive, this unit can shred. Our warranty is fantastic and our durable quality will exceed your expectations. Solid axles, heavy duty floor boards, metal controls and more. We do what is right, grab yours now and get started!